sir nandito na ba ulit si mishka sa pinas? sorry, super bagal ko kasi sa updates eh hehe. I think she's in town for the holdiays - she has one show this dec with her old band (excellent band by the way) the Blue Echoes. cool. i wish i could see her perform. any gigsched sir? thanks a lot. 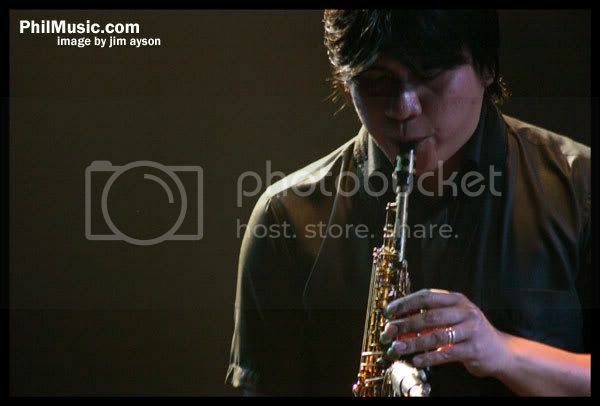 Idol ka talaga when it comes to concert photography! Here's my contribution to what Jim Started. I hope I can get backstage pass as much you Jim! Idol! 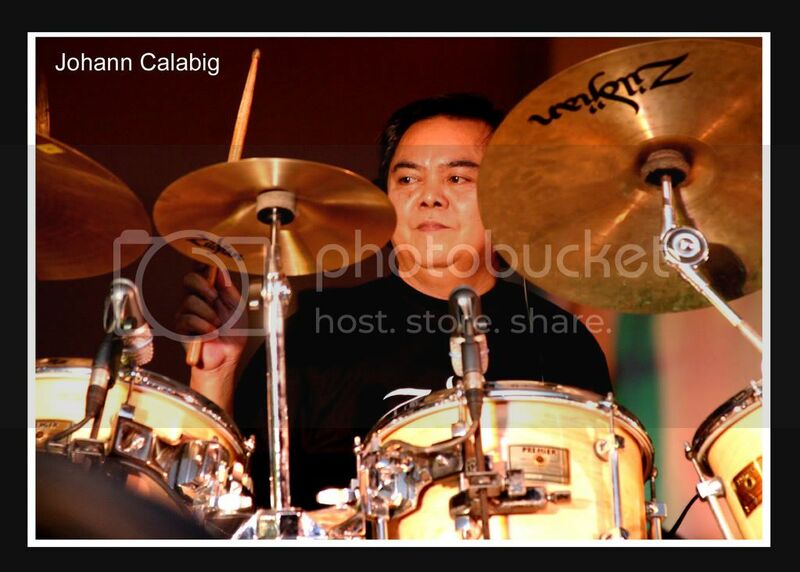 My drum teacher, idol and master in action: Jun Regalado, supporting Mike Manginni Zildjian Clinic. 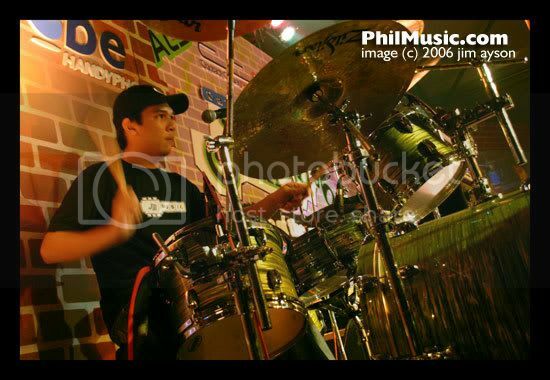 One of my favorites pinoy drummers, Mar Dizon passionately drumming in Pinoy Drums EB2 @ Freedom bar. I do! Nakashort pants ka pa nun! Sorry boss Jim, what I meant was "Access All Areas" Pass pala. 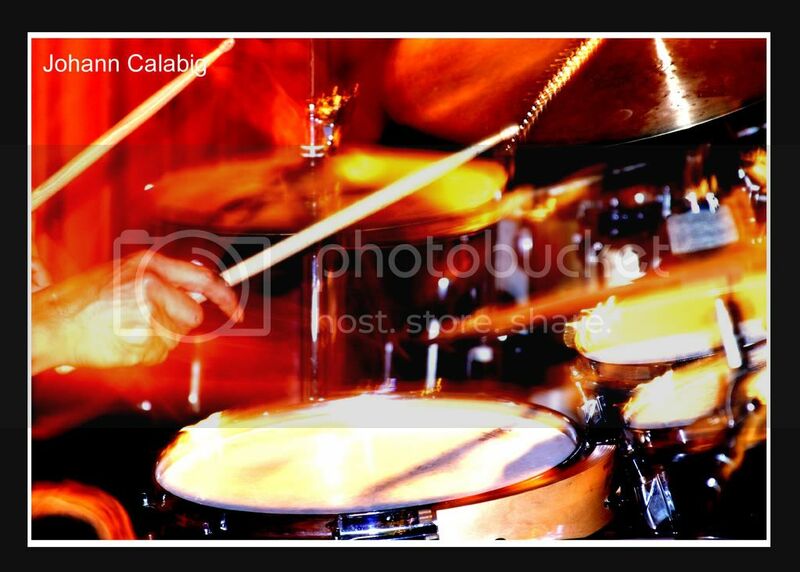 nice photos sir jim , galing talaga, anyway may pix ka ba ni sammy assuncion and his band? the spy? 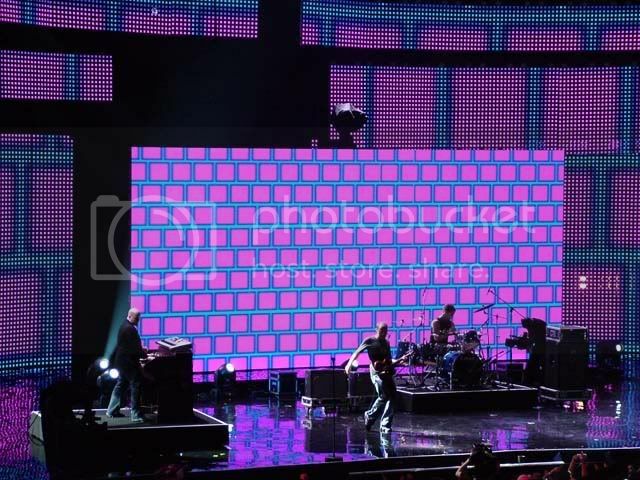 Taken during the MTV Asia Awards, Impact Theater, Bangkok Thailand, using a Fujifilm S7000. Does that 75-300mm (35mm equivalent) long zoom lens have image stabilization (IS) feature? I am worried about camera shake when shooting handheld at the long telephoto end because I do not have very steady hands. I would like to know the lens' aperture range (wide and telephoto) also. The guy sitting on the left rear, is he the drummer? 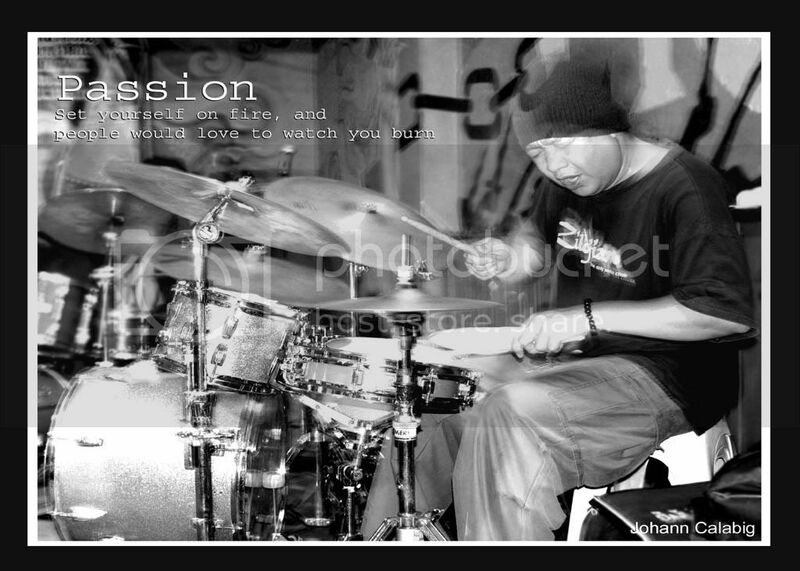 He's the percussionist - I forgot his name right now but he also plays percussion for Pinikpikan. 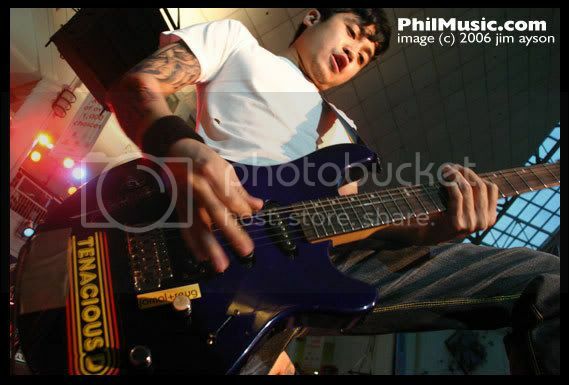 This was taken during Mishka Adam's farewell gig at the Music Museum in 2005. Deo Arellano is Mishka's uncle. 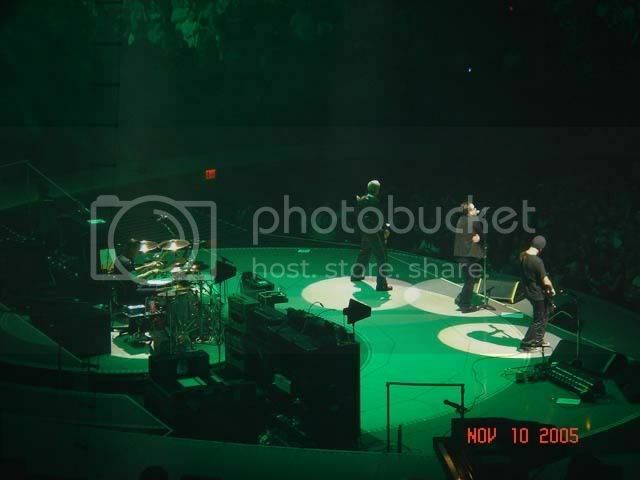 yah, idol ko rin yan... his photos inspired me to go into rock photography nung 2005. 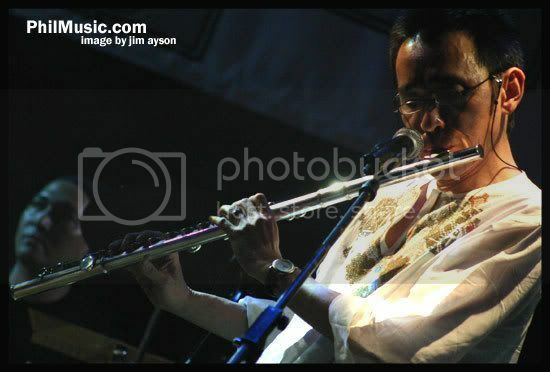 Philmusic.com ang homepage ko nun until it went on a sabbatical. i'm glad it's back sir! 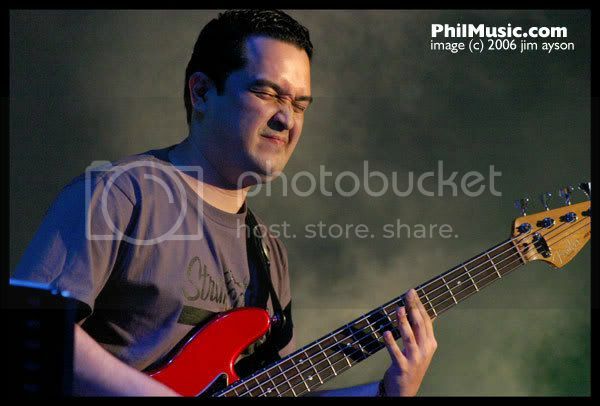 cool... that's JC Magsalin... Bassist of the MPO. one cool cat! Bad Behavior has blocked 43804 access attempts in the last 7 days.